VANCOUVER — It’s a special day in Clark County, and we’re not just talking about Cupid. Today also is the Feb. 14 Special Election, which will determine the fate of bonds or levies in seven different Clark County school districts. As of this morning, voter turnout is hovering around 30 percent, with ballots still dribbling in. As of noon today, the Clark County Elections Office had recorded a total of 54,704 returned ballots, or 30 percent of the total 182,984 eligible to vote in the Feb. 14 Special Election. Of those 54,704 ballots, 5,131 were counted this morning. Compared to other recent special elections in February, the numbers are pretty typical. Voter turnout in Clark County for the special election in February of 2016 was 32 percent. In February of 2014, it was 30.48 percent. 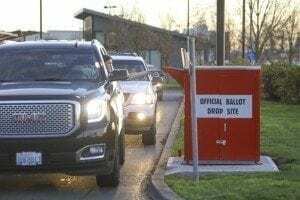 Only the February of 2013 special election saw voter turnout higher than 35 percent, and in that case, voter turnout was 37.49 percent with 56,502 voters out of an eligible 150,727 turning in ballots. Although ballots are counted after election day, it is not unusual for the majority of Clark County voters to turn their ballots ahead of time. For instance, in the Feb. 12, 2013 election, 79 percent of the total votes counted actually came in before the Feb. 12 election day deadline. For proponents of bond measures in the Vancouver and Ridgefield school districts, the voter turnout numbers are critical. That’s because bond measures must have at least 40 percent voter turnout of the last general election to count. In the Vancouver School District, which has has asked voters to approve a 20-year, $458 million bond to replace several schools throughout Vancouver, that means a minimum of 27,000 district voters — 40 percent of the roughly 67,000 voters in the Vancouver school district who came out for the Nov. 8 General Election in 2016 — must cast ballots in the Tue., Feb. 14 Special Election. Seven Clark County school districts are running bonds or levies in the election, including the Vancouver School District and the Ridgefield School District with its $78 million bond for school construction, renovation and replacement. Ballots must be returned by mail need to be postmarked by today, Tue., Feb. 14. 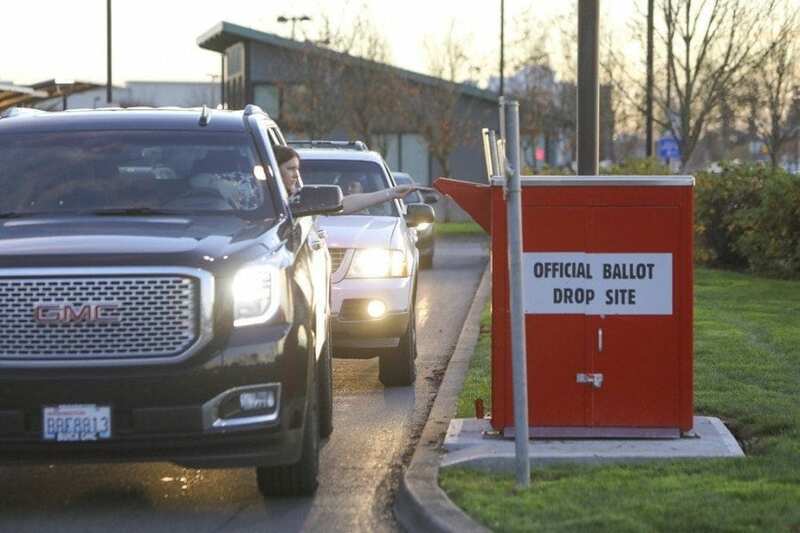 Voters can also drop their ballots off at the Clark County Elections Office at 1408 Franklin St., Vancouver, by 8 p.m. today, Tue., Feb. 14, or at one of the ballot deposit locations listed on the Clark County Elections Office website. There are six permanent, 24-hour, drop box locations in Clark County. Want to see election results as they come in tonight? Visit ClarkCountyToday.com after 9 p.m. tonight for election updates — we’ll also post a full story on the Feb. 14 Special Election on Wed., Feb. 15.